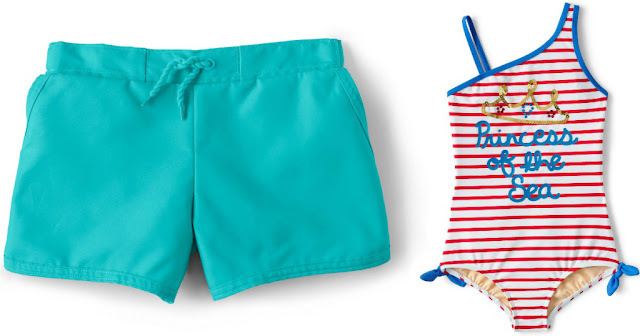 Today, May 22nd only, Lands’ End is offering 50% off Swimwear, Water Shoes, and Accessories for the family when you use promo code SWIM and the pin 2018 at checkout – and this code works on sale items! Even better, all of these items ship for free! Note that shipping charges are not removed until you enter your address during checkout.